Yes. You guessed it. 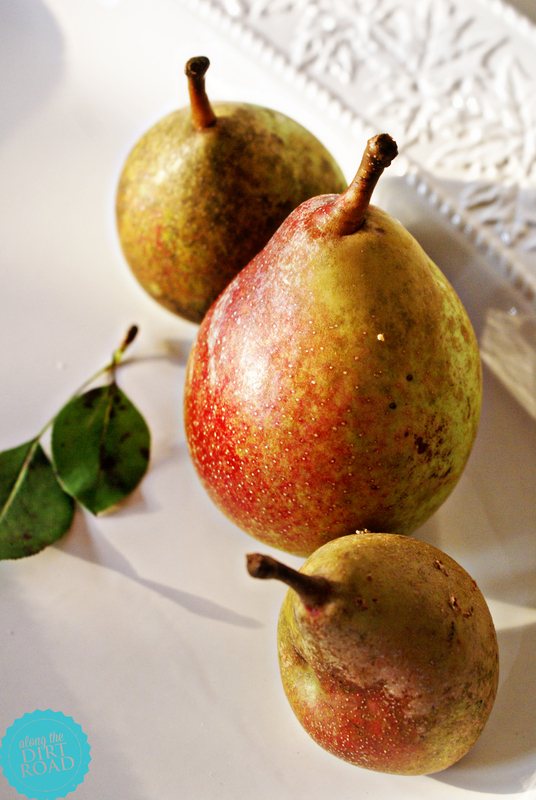 I did not can the pears. I did not make pear butter or pear jam or pear jelly. I might do some of that later, but not this time. By the way…welcome to mmmMonday! (Just thought that I would throw that in.) What I did do, or what WE did do, was freeze them. I’m going to tell you how we did it. 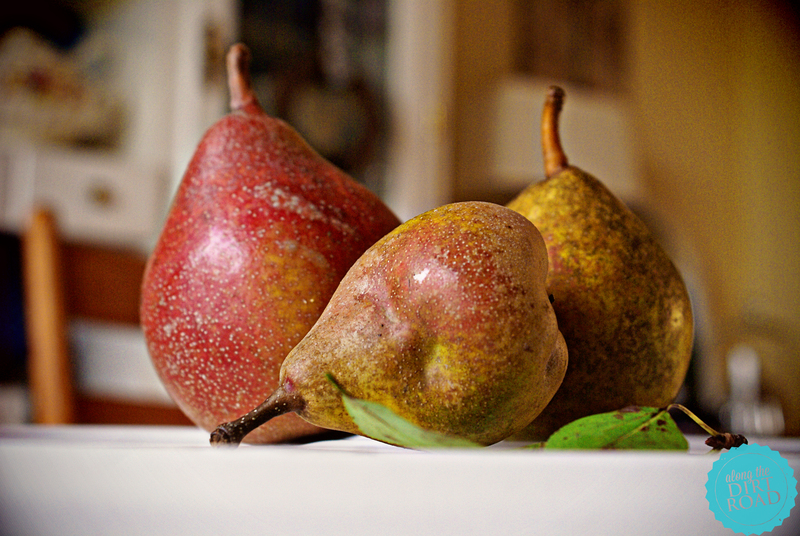 First of all the pear story is this: My Paw Paw and Uncle Jay…picked close to eighty pounds of pears. Yes…that is right. 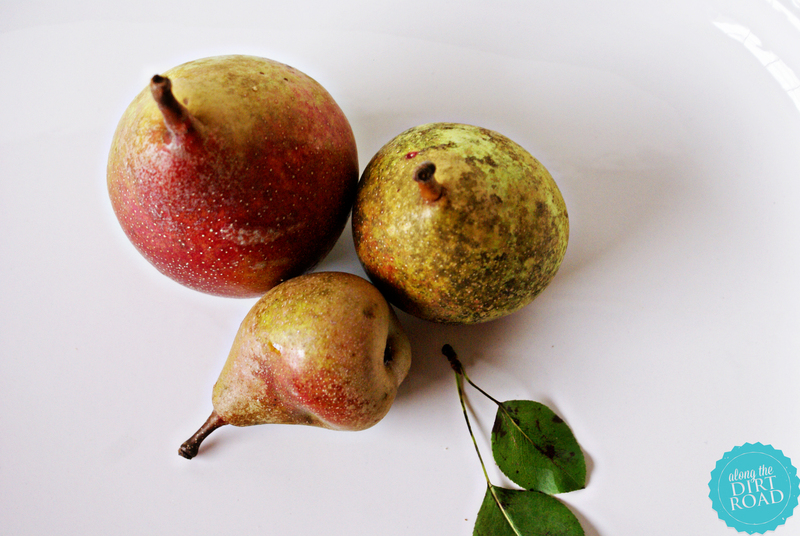 I had planned to can them…but the process was a tad more lengthy and we were in revival last week at our church AND that was just a lot of pears to process. So…after tossing it around with my Auntie Lynne’s opinion mixed in…freezing became the best option. When you freeze your fruit…then later when you have more time, you can do the jam, jelly, pear butter or cobblers and crisps. Enter: The Mr.’s mother…a.k.a. The MIL. The process is so simple for freezing that I can tell you in a few simple steps. 1. Wash your fruit and peel and core it. 2. Chunk or dice the fruit. 4. 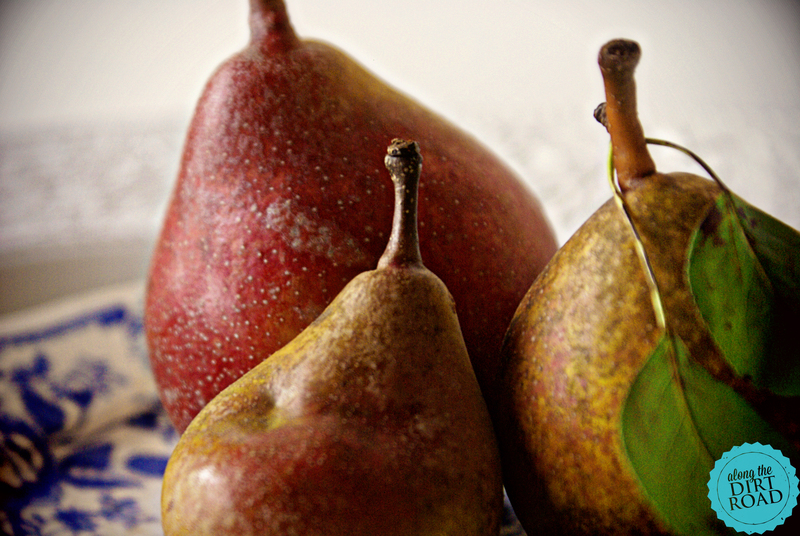 After you have soaked all of your pears, drain and put into freezer bags. Remove air and lay flat for freezing. That is pretty much it, Dirt Roaders. 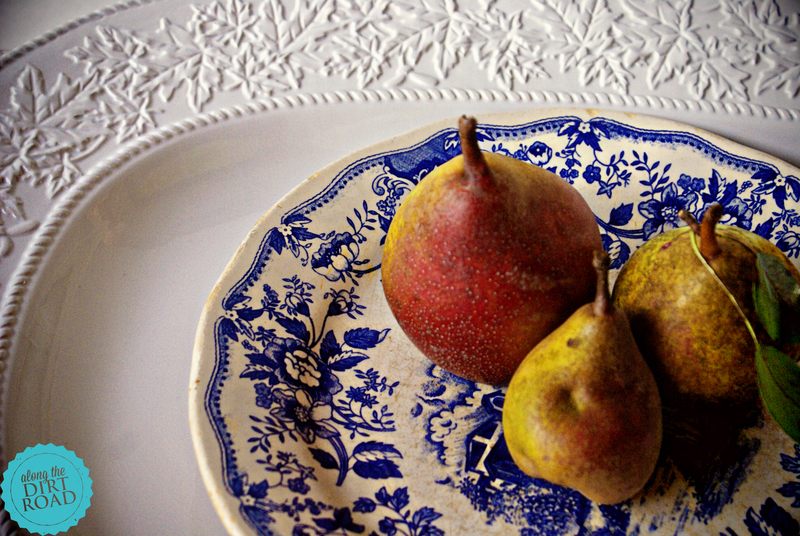 I’m not sure what all I will make later on with my pears…but freezing is a great way to preserve the fruits of the season when done right. Especially when you need to get it put up fast so they don’t ruin. I hope that you have a wonderful mmmMonday! I am feeling cozy in my kitchen, now that fall is here. I hope that you are too!